Myth #1: Veneers are bright and noticeable. Fact: Veneers have come a long way over the years and are actually quite natural-looking compared to other dental treatments. The color, shape and thickness are all customizable and blend seamlessly with the patient’s natural teeth. In most cases, veneers are not noticeable and help enhance one’s smile. Myth #2: Veneers are only used in cosmetic dentistry. Fact: While the primary purpose of veneers is to improve a patient’s teeth, veneers can also be used to rebuild molars, improve facial profiles and replace worn out or misshapen teeth. Myth #3: The application of veneers is painful. Fact: Like any other dental procedure, the patient is given a local anesthetic, so there’s no pain or discomfort. The sensitivity is typically during the time a patient has to wear temporary veneers while the permanent ones are being fabricated. Once the patient’s permanent veneers are placed, the sensitivity is usually eliminated. Myth #4: Veneers require the dentist to file down my tooth before application. Fact: This is one of the most common myths surrounding veneers. Although there is some reshaping that is usually required before the veneer is applied, most patients only need a minimal amount. Veneers are made finger nail thin, so less prep work is required. Myth #5: Veneers are only necessary for the front teeth. Fact: Veneers are commonly applied the first six front teeth since they’re the most visible, but they can actually be used anywhere in the mouth. Many patients use them on their lower teeth and premolars to help even or widen their smile. As you can see there are many myths surrounding veneers. Don’t let the myths about veneers fool you though, veneers can help patients that have suffered from dental trauma, excessive wear, tooth decay and many more dental problems. If you’re interested in improving your smile with veneers, contact Dr. Larry Lieberman, DDS at 727-785-8017 to schedule a consultation today. Or visit www.dentist-lieberman.com for additional information regarding veneers. This entry was posted in Veneers and tagged dental veneers, Dr. Larry Lieberman DDS, Myths, Veneers on September 15, 2016 by admin. You have severally stained or discolored teeth. Not everyone’s teeth responded to teeth whitening techniques. Sometimes staining can go through the enamel, staining the dentin and discoloring it. Teeth whitening techniques, such as bleaching may not be viable in these types of cases. In such cases, porcelain veneers are a great alternative. You have misshapen or worm teeth. Slightly misaligned teeth can be treated with porcelain veneers rather than with braces. Some orthodontic work can take years to improve misalignments, while veneers can improve one’s smile within a week or two. Veneers can even reduce the size of gaps and create a perfectly aligned smile. Porcelain veneers are a long-lasting. By practicing proper oral hygiene and visiting your dentist for regular checkups and professional cleanings, porcelain veneers can last up to 15 years. Quick solution to enhance your smile. It can take as little as 3 visits to your dentist’s office to get a set of porcelain veneers, making them a quick and easy solution to obtaining a beautiful smile. There’s no pain involved. Placing porcelain veneers is a simple dental procedure. Anesthetics are not required as the actual procedure doesn’t cause pain or any significant discomfort. Veneers can change your life. Last but very not least, porcelain veneers can completely change your life in the most positive way. Not only can they drastically improve a patient’s smile, porcelain veneers can improve one’s self-confidence. If you’re ready to enhance your smile with porcelain veneers, contact Dr. Larry Lieberman, DDS at 727-785-8017 to schedule a consultation today. 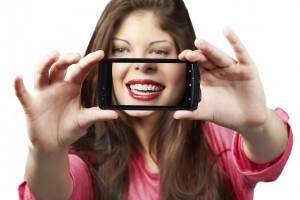 Or visit www.dentist-lieberman.com for additional information regarding porcelain veneers.